Are you available on the wedding day? Which events do you specialize in? How do you plan to make my event fun? How will you dress on my wedding reception? Can we meet to plan for the reception? Whether it is a wedding party or a corporate event, having a DJ is definitely an important component. It is always reasonable to find out the cost of hiring a DJ beforehand. However, you should be careful to have a balance between value for money and quality. Just how much does a DJ cost? Here we look at the average cost and factors to consider when hiring one. The DJ will play music and be the master of ceremony at the same time. 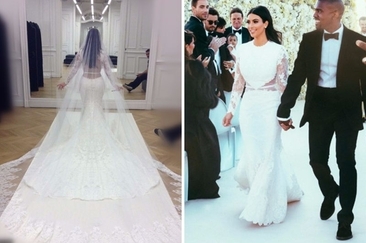 This explains why it is important to choose someone that blends in with your wedding theme. DJ rates are usually based on emcee ability, knowledge of music, experience, personality and equipment. The cost also depends the state where the wedding is taking place. Typical wedding DJ packages include planning, customizing the music list, at least one audio mixer and one microphone, a multi-tray audio mixer, at least 4 hours of music plus set-up and tear-down time. In the year 2015, wedding DJ cost between $875-$1101 on average. DJs usually charge by the hour. Professional DJ services range from $200 and $2,500 based on the location, equipment and time. In most cases, a 50% deposit will be required for reservation. A beginner DJ, most likely a part-time hobbyist will charge $200-300 while a more experienced part-time DJ will charge $400-$600. Professionally trained full time DJs will cost between $1000 and $2500. How much does a DJ cost for couples working with a tight budget? You could opt for renting equipment and have a friend stand in as the emcee and DJ. The cost of renting equipment varies depending on location and type, ranging between $75 and $270 for and audio mixer, two speakers and a dual/4-tray CD player. Wireless microphones go for $40 each while corded microphones will cost $15-$20. The other option is to rent out a jukebox with preloaded music at a cost of $325-$400. You can also amplify preloaded music from an Ipod- the iPlay sound system. These work best for small wedding receptions since their volume is a bit low. They can be rented for about $175 a day. Instead of having a hobbyist, you would rather have a friend DJ for your wedding. This is better than having someone play the wrong music or make wrong announcements. Part-time DJs also have their share of problems. They usually lack time to prepare well for your wedding since they probably have a full time job. You stand a chance of getting a very good part time DJ, but you can as well get an unprepared DJ. The professionally trained DJ has all the time to prepare for your wedding and delivers the best services. They are available to answer questions and help plan the wedding entertainment. Ensure you interview the DJs well and scrutinize companies that offer DJ services before settling on a DJ for your wedding. For performances running overtime, some DJs charge up to double the normal rate per hour. They may even ask for cash only. How much does a DJ cost if they are asked to attend the rehearsal? Additional per hour costs will apply for attending the rehearsal if the DJ is hired to play recorded music during the wedding. For events lasting more than four hours, meals may be required for the DJ. Remember to include them in your caterer’s head count. Most DJs will offer discounts for weekday events since they are mostly hired during weekends. Some DJs offer up to 10% discounts for referrals and repeat customers. This may sound like an obvious question but it is not. The DJ may be booked on your wedding day. If they are professional, they will recommend another DJ. It is necessary to know whether your DJ of choice has performed at other weddings. A wedding has a specific sequence of events that a DJ should be familiar with. They DJ must know how exactly they will co-ordinate the event from the beginning to the end. They should be full of energy and creative so that they do not only play music back to back throughout the wedding reception. A professional DJ will dress in a tuxedo for your wedding reception. However, it is important to agree and seek clarification on the dress code to avoid embarrassments. Agree on this before signing any agreement. 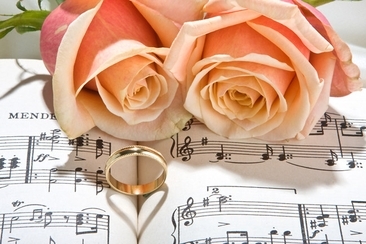 A committed DJ should be willing to meet and be part of the planning for the wedding reception. If you are dealing with a company that has many DJs, have them write the name on the particular DJ on your contract. You cannot afford to meet your DJ on your wedding day! Request for references you can contact. If wedding planners or friends recommend a DJ, be keen to understand what made them stand out in the previous events. How much does a DJ cost? Some DJs have a flat rate while others charge depending on the equipment they will bring along. That should not worry you. What matters is a DJ that can make your event a success. After all, an amateur DJ behind sophisticated equipment is a mess! A bridal bouquet ensures a touch of freshness in the bride’s look. Are you looking for the best bridal bouquets? Here are the pictures of bridal bouquets to give you inspiration. 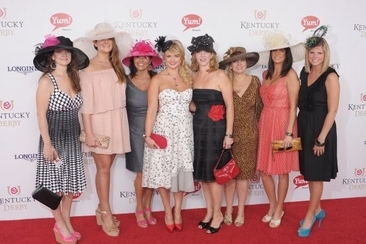 Here is a quick guide for Kentucky Derby attire for both women and men. Hats should be your first consideration and then make the rest of your outfits go well with that! 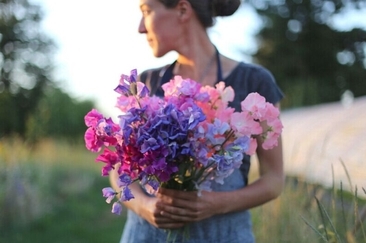 Looking for the best April flowers that in season? It’s not an easy task to choose the one for you. 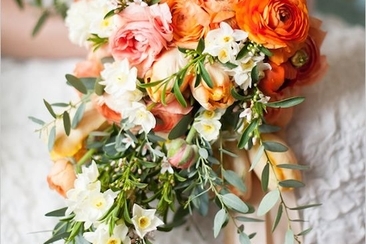 Here is the list of 17 most beautiful April wedding flowers.